Two of the more interesting of independent record labels that are firmly established in this modern day psych rock/kraut rock firmament have joined forces to release an immensely bruising two track self-titled monolith by magnificent Gothenburg based psychedelic explorers ‘Lamagaia’. The initial seed for this release was sown by UK based ‘Cardinal Fuzz Records’ after the release of the bands ingenious ‘Lamagius’ LP and is wasn’t long before U.S based ‘Sunrise Ocean Bender Records’ jumped on board with the collective aim to get this release out to as many ears as was feasibly possible. The ‘Lamagaia’ LP has it’s official launch 13th February 2017 on standard black vinyl with full coloured printed inners (sleeve and inner sleeve designed by Rommel Valgart) and you can pre-order it right now from both www.sunriseoceanbender.com & www.cardinalfuzz.bigcartel.com respectively. ‘Aurora’ billows into the ether and immediately sets up a kind of gravitational holding pattern, held fast within a vicious feedback laden whirlwind. Coming in at a whopping 16 minutes plus, it was quickly evident that I was in this turbulent behemoth for the long haul. Growling overdriven guitars creep in close proximity with metronomic percussive patterns as throbbing bass frequencies feed effortlessly into the sonic mayhem. ‘Aurora’ surges through sonic peaks and deep atmospheric troughs fed solely on repetitious progressions, mantra like vocalisations and menacingly good instrumentation as the band inject reverberating electronics, explosive percussive breaks and self flagellating lead licks into to the already revolving cauldron of noise. This track is hypnotically intense, absolutely all consuming and saturated by mescaline fuelled sound waves purposefully positioned to bring you on a glorious hallucinogenic trip. Up next, ‘Paronama Vju’ swirls into earshot building gracefully on luscious waves of shimmering synth, impressive bass frequencies and sporadic drum patterns. Gyrating drones meld effortlessly with fret board theatrics collectively immersed in swathes of diminishing reverb until we’re led into astonishing passages of entrancing ambient abandonment. 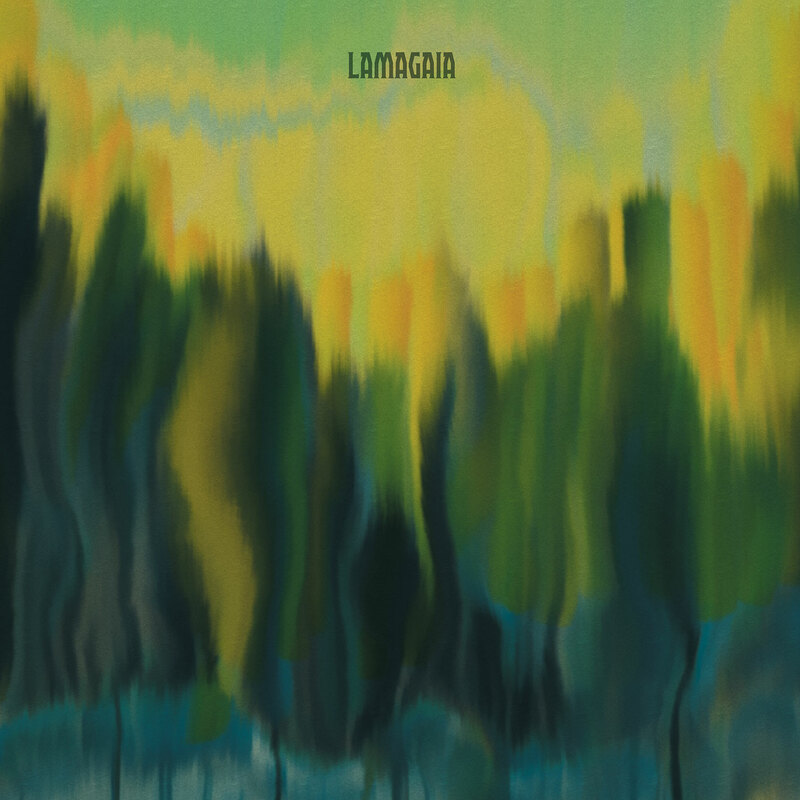 ‘Lamagaia’ unleash their experimental side as ‘Paronama Vju’ unfurls itself into a repetitious monster, fastened brilliantly to free form instrumental progressions, cascading bass lines and screaming saxophone whirls, all fixed to a bedrock of an almost Jazz like percussive swagger. I can honestly say that this track is eighteen minutes plus of pure sonic enjoyment that I will return to again and again. Absolutely magnificent.